Highly illustrated and in full colour, this revised and updated second edition has been expanded to include new chapters on deterioration modelling, asset management and the impact of heavy goods vehicles. 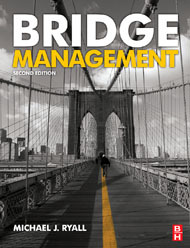 Including examples of practices and techniques drawn from around the world, this will be an invaluable source for the modern bridge engineer. Dr Michael J. Ryall has worked for over forty years, both in the UK and abroad, in the practice of design and construction of a wide variety of bridges. He has also taught and developed both undergraduate and postgraduate Bridge Engineering courses at the University of Surrey, and run bridge-related courses worldwide.